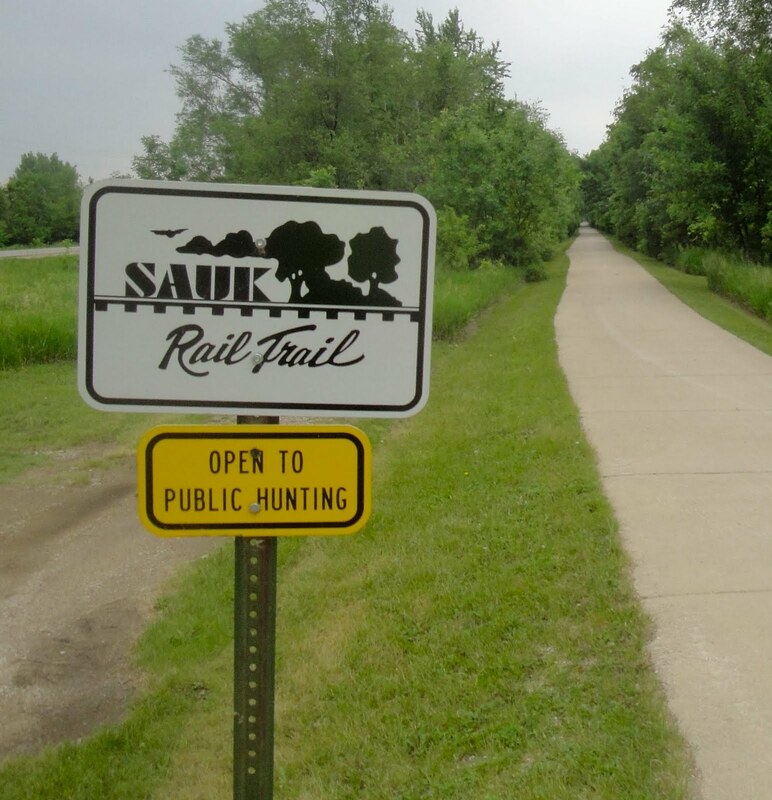 The Sauk Rail Trail is the first recreational trail in the country to begin and end at State Parks in two different counties. 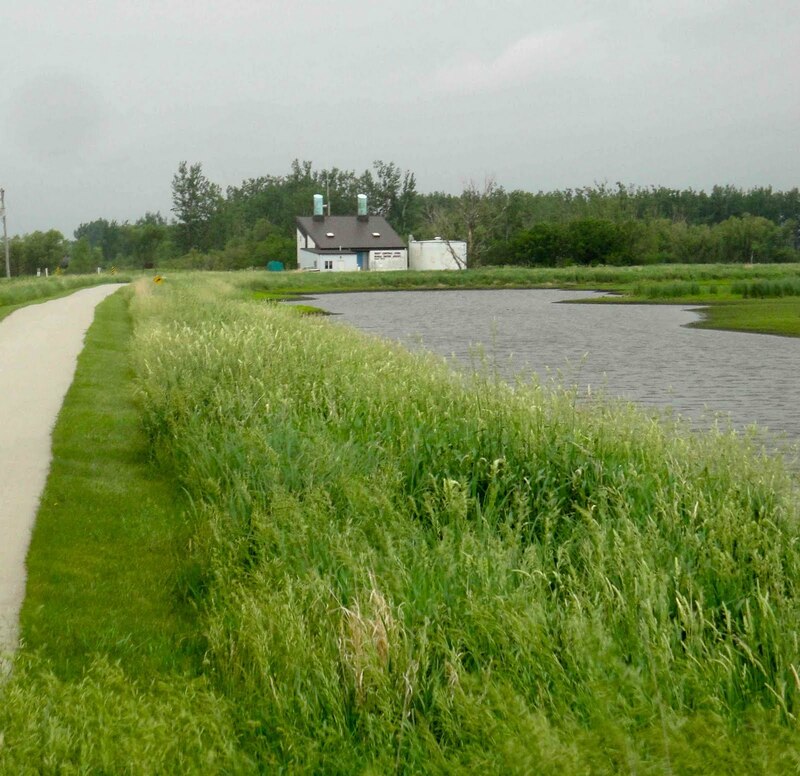 Each has a lovely lake and there are scores of campsites and educational venues as well. But the 33 mile hard-surfaced trail took every bit of Hawkeye stubbornness that the visionaries could muster. 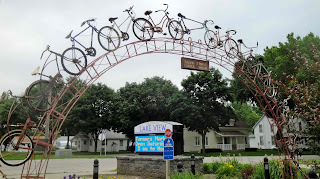 Beginning in 1991 the respective County Conservation Directors worked tirelessly in unison to finish the project, which had its inaugural ride just 3 days ago, with over 350 riders! 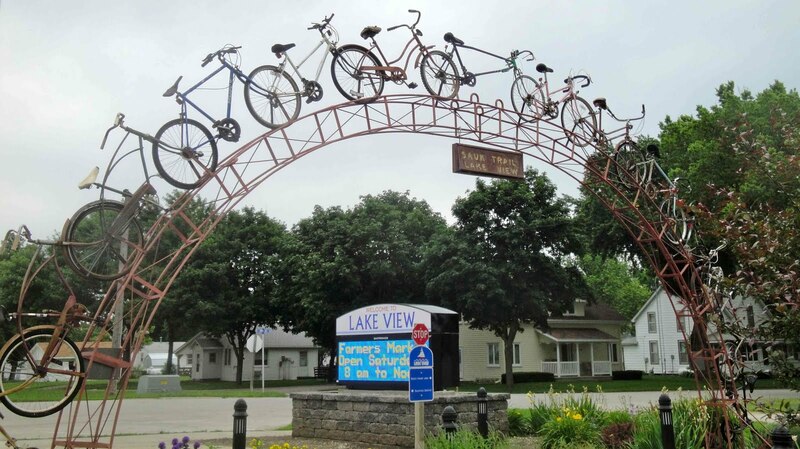 Quite a turnout for the two small towns of Carroll and Lake View - each of which has had the honor of hosting over 10,000 cyclists in Iowa's infamous RAGBRAI week long party-on-wheels. 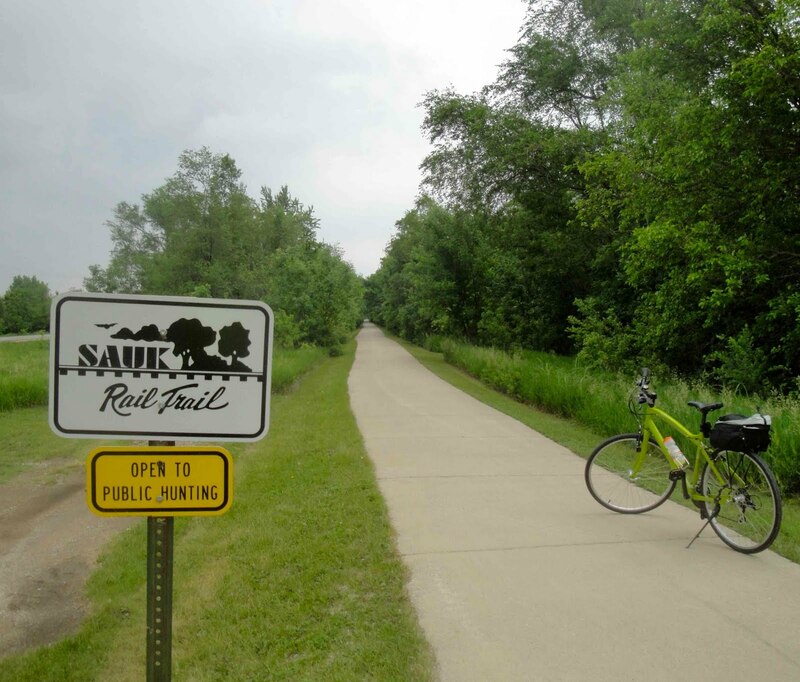 Take a moment to enjoy these images of the Trail and see what stubbornness can accomplish...and thanks, Meredith Willson. Did I mention that cyclists are supposed to wear a jersey with a big bulls eye on it? 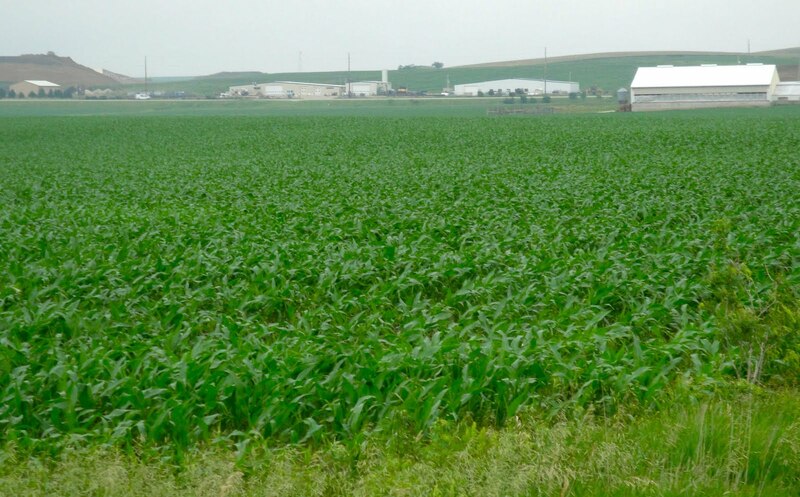 Pre-pubescent corn crops.....as far as the eye can see....growth spurt eminent. Rails to...what? Trails. As in choo choo trains. Post modern farm house. Original stream. 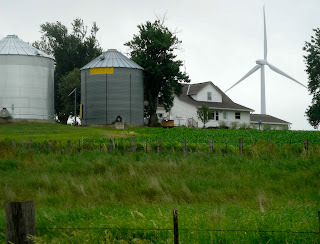 Auntie Em, Auntie Em, I think I know what's causing the wind storm! 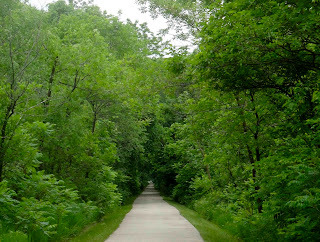 Tree tunnel finish for mile 33. Why then oh why kaint eye? Just the thought of that meal broke da mouth. 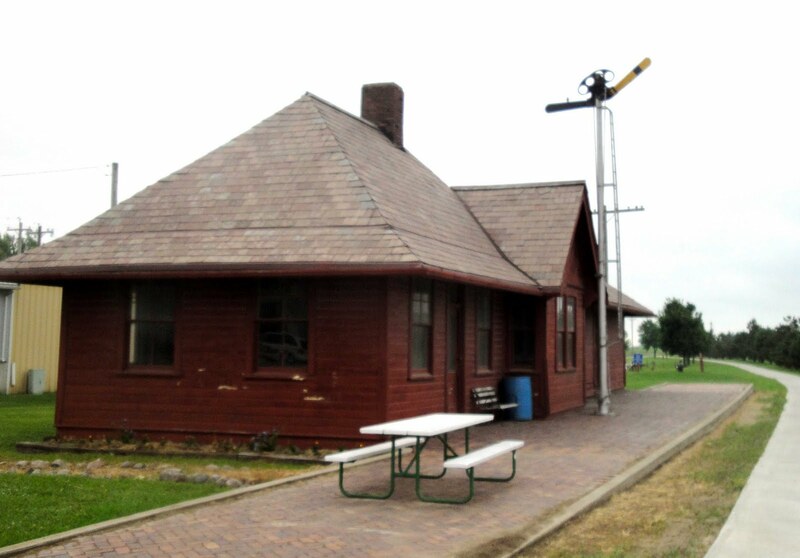 I'm in Norfolk, NE tonight at a Super 8 motel not 2 miles from the eastern trail head to the Cowboy Trail, a recreation and nature trail that is the longest rails to trails conversion project in the country. The trail starts in the nearby park and stretches 321 miles to the west crossing 221 bridges and goes through 29 communities before reaching its end. If the rain slacks off I should be able to get my 50 in tomorrow.